Brocade base. 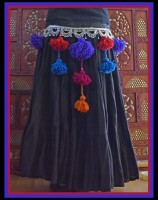 100% wool tassels, glass bead accents, exquisite color combinations. This belt is especially made for layering. 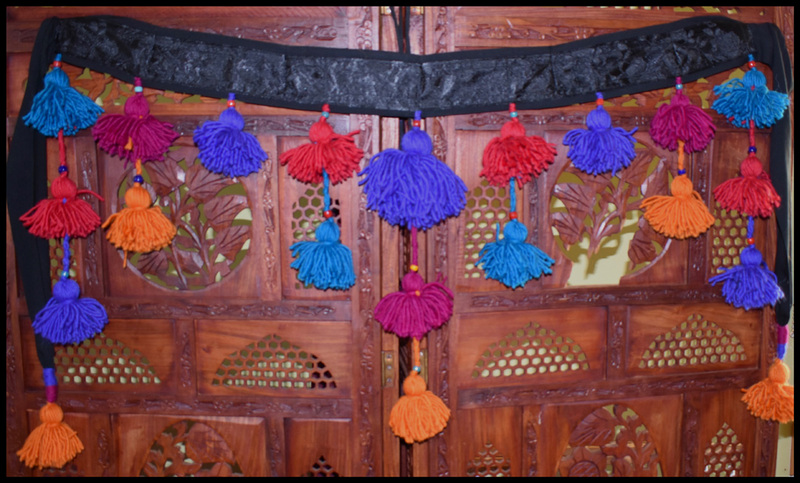 Its for wearing under that amazing village crafted textile you have been meaning to add tassels to. The lower pict shows it worn under a coin belt!!. 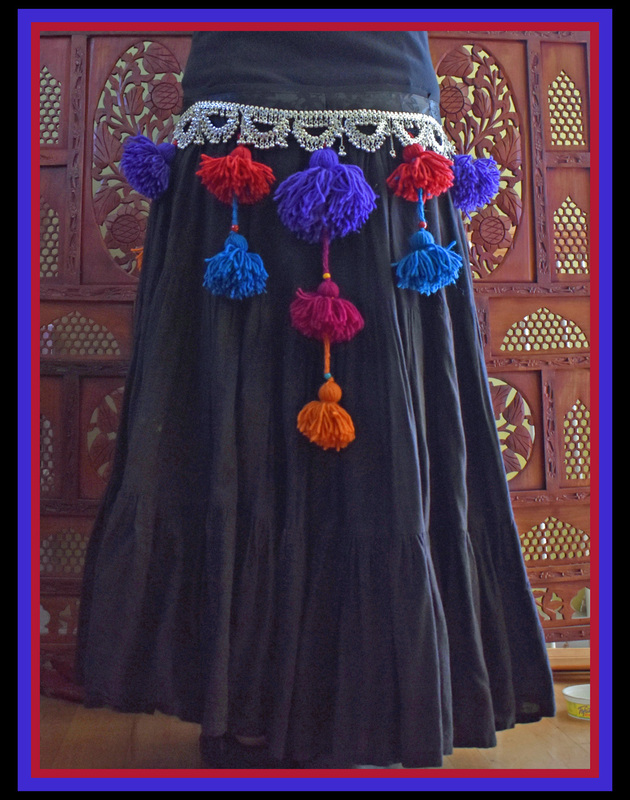 layer over a long fringe belt and you have true Tribal opulence. This belt is hand crafted after I receive your order and will ship within 7 to 10 days. Click here for detailed info on belt sizing, care and more!